The auto creation of Thumbs.db files in folders with images can get annoying. Before burning photo albums into DVD-R, I often have to go around searching and deleting such files. This can also get annoying for web developers using version control software e.g. TortoiseGit and TortoiseSVN. Eh .. Sometimes, deleting these files can get the "file is in use and cannot be deleted" prompt. Very annoying. On Microsoft Windows operating systems, starting with the IE4 Desktop Update for Win95/98, a thumbnail cache is used to store thumbnail images for Windows Explorer's thumbnail view. This speeds up the display of images as these smaller images do not need to be recalculated every time the user views the folder. Yes we know the purpose of Thumbs.db but what if we still wish to turn off Thumbs.db from appearing? 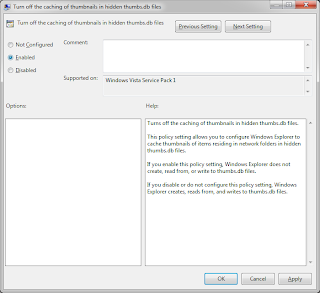 There is a way to do it by tweaking a setting on the Local Group Policy Editor. From the Start Menu, click Run option. Or, you can use Win+R keyboard shortcut. Type gpedit.msc and hit ENTER key. This will launch the Local Group Policy Editor. Navigate to User Configuration > Administrative Templates > Windows Components > then either Windows Explorer (Windows Vista/7) or File Explorer (Windows 8). 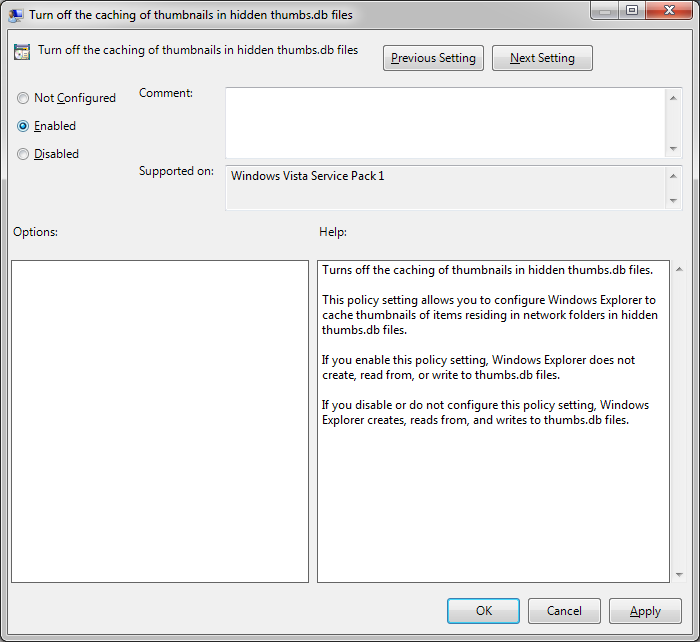 Look for "Turn off the caching of thumbnails in hidden thumbs.db files" key and double click on it. The following will generate a random fixed-length string using SQL. Simply pass in a string of accepted characters and the length of the random string to be generated. Almost always, Windows will always show the "your computer is going to restart in 15 minutes ..." prompt every time Windows Updates is performed. This can get annoying especially when the update setting is set to auto download and update. So I can we make the annoying prompt not to show? The following fix should apply to both Windows 8 and 7. Open your registry editor by typing regedit from your Start Menu → Run box. 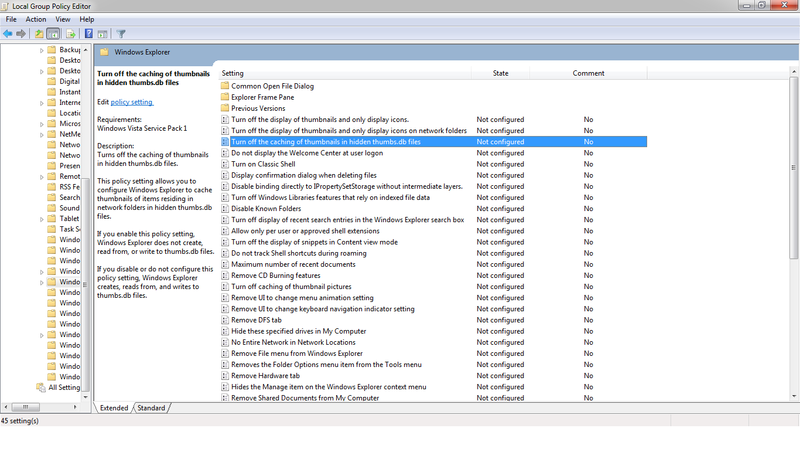 Navigate to key HKEY_LOCAL_MACHINE\SOFTWARE\Policies\Microsoft\Windows\WindowsUpdate\AU. Many may see up to \Windows level. In that case, you will need to create new keys for \WindowsUpdate and \WindowsUpdate\AU. Now, create a new DWORD (32-bit) value NoAutoRebootWithLoggedOnUsers under the AU key. Give it a value of 1. Reboot your machine and you are done. NOTE: It is still your responsibility and is definitely recommended to reboot whenever you are ready to so the updates can be applied completely. Google doodle for Malaysia as the Malaysians go to the poll today. GS1 Prefix List - How to Determine Origin of Food From Barcodes? Do you know that it may be possible to determine the country where a food product is manufactured bought from a supermarket by reading the barcodes on the package itself? However, do note that the barcodes do not provide identification of country of origin for a given product though hopefully the manufacturer can put our mind at ease if certain countries are in our blacklist. How to read the barcodes? 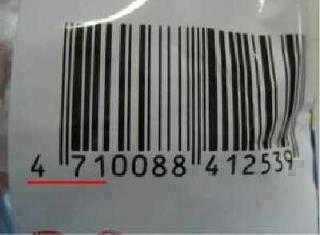 Turn over the food product and look for the barcode. The first 3 digits of the barcode will reveal the GS1 Prefix. Tally with the list below to find out the country where the food product could have been manufactured at.